Tremendous Values all around in Forms, Practicality, Performances. Totally Sony ! Cons - Power-charge indicator, running A bit too warm. It needs long hours burn-in and Sony does not mention it. Last year I was so excited buying the Walkman Zx2 and Z7 from Sony, and I was gradually enjoying the better of real quality audio when I am stepping back into the portable world. I feel that now is better than ever to have the dips into the rest of Sony gears, the PHA-3 portable amplifier. Why ? Because somehow many people don't appreciate it, and hence the used market price is dropping hard, and I was lucky to have bought one at a very good price. What made me decided to buy the Pha-3 were these followings: Portability, Build quality, Balanced output, USB (charge/audio in at the same time by 2 ports), seamlessly connect to Apple devices, and computers, build-in battery. Better yet, about 5-6 hours of digitally fed and play with Balanced out. I can confirm that the Pha-3 is a worthy purchase if you already own Zx2. It carries a different sound signature and yet closely resembles the Zx2 with yet more transparency, separations and expansive soundstage. Right when I decided to have gone with this purchase decision, I had looked into Pha-3 board and components, and it seems that Sony uses the Technologies inside the Walkman Zx2 for it as well. For example, the OS-Con capacitors, and then packing very good desktop class ESS9018S with independent Texas instrument opamp chip per Channel for balanced. What I realized immediately ? The burn-in process. My brand new ZX2 needed 200 hours roughly to sound better, and it even had weaker, less counts of these capacitors inside. Therefore, it was just making senses for PHA-3 to at least need 300 hours for burn-in or even more, please take it literally. I then even read all around the websites, forums, and different reviews, impressions on the unit, and all seemed to be very disappointing from the performances. But surprisingly most of the "used and for sell" units are all used for less than 100 hours. Case in point is that my unit was sold to me with less than 20 hours used, and everything came inside the box, most cables are still inside their untouched plastic bags and ties. This lead me to believe that most of the people who reviewed, and impressed on the PHA-3, and even people who is selling it, they all have not been burning in the PHA-3 properly. From my own experiences, my Zx2 sounded horrible at first, but gradually changing with burn-in. I dived in blindly and made the purchase, then I started bumping into different problems. The Pha-3 is so sensitive, and only a slight movements, then the Pha-3 will stop being charged regardless of it being plugged in. There was no indication of it stopping it charges ? I didn't know, and left it for burn-in overnight to wake up into an empty PHa-3 which couldn't even turn on. 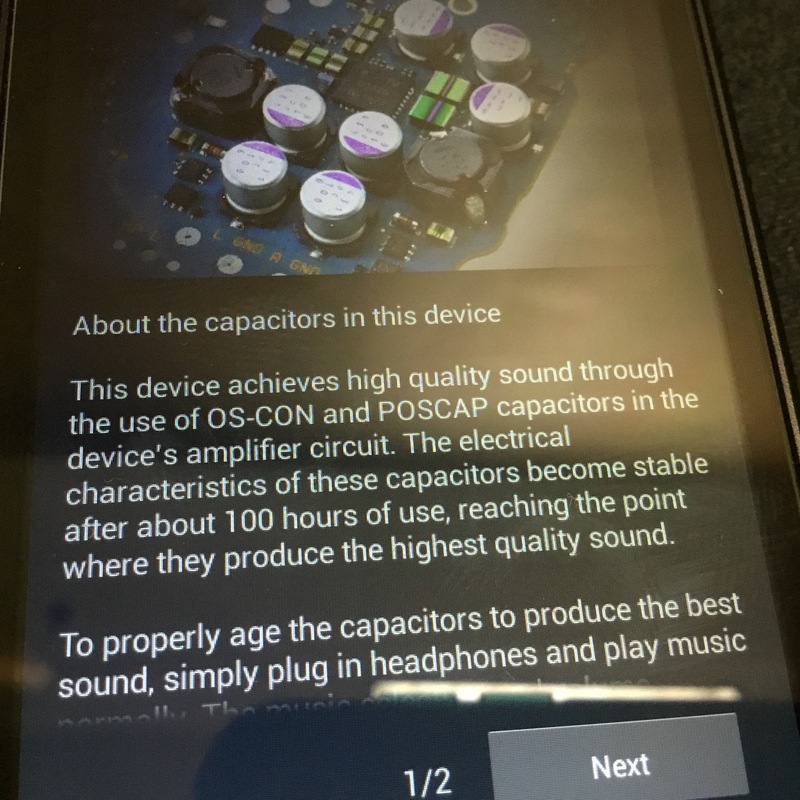 It took me about an hour scratching head and reading around the forums to find out about this problem, and was sure that the Pha-3 could take charge and play music at the same time. I also needed any power outlet with 2.1A output, and voilà, any IPad charger will do. First problem solved. Second problems, the PHA-3 is charging so slow....and it run very warm. It will shut off when it get too warm, and it will take 15 hours to charge up if you connect it to a laptop, or anything with less than 2.1 Amp outlet. When all 3 problems combined together, and no wonder why people would just want to smash this little thing, and sell it. Well, lucky for me. The sound signature, the PHA-3 carry Sony house sound with punchy controlled Bass, sparkling trebles, clean back ground, forward vocal and of great separations, transparency, expansive soundstage. Please do mind that I only use "balanced out" connection. Therefore, please regard this impression with strictly balanced connection. The Pha-3 is surprisingly sensitive with different cables materials which leads me to believe that Pha-3 is of a very good build quality and internal parts. Looking at some of the online picture of the motherboard, I could see a lot of high quality film resistors, capacitors and...so on. 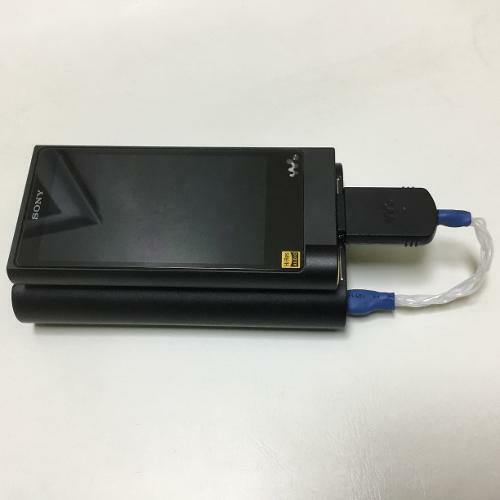 It can get a huge improvements if using with Sony accessory Dock if one is using Walkman DAP. 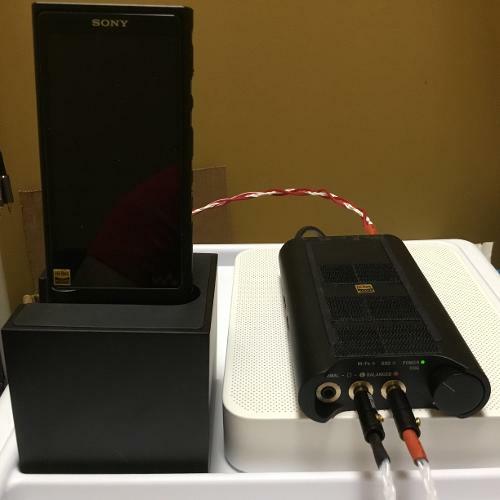 Perhaps, using Walkman+Dock+Pha-3 and balanced connection will bring one of the most sophisticated sound from Sony. The best about this combination is the transportability. Zx2 with Pha-3 on battery, and both last for 5-6 hours. Docked and stationed for ultimate listening without running out of battery ever, and that "oh so good" sonically quality. Sound-scape: spherical, expansive in width, depth, height, and immersive with 3rd dimensions. Bass: Full of controls, packing punches, and very detailed. The sub-bass can get very very low with vivid details, and especially on complicated bass plays, every lines were vividly presenting with it own definitions. Distortions ? Perhaps only in bad records in my experiences, the PHA-3 is awesome in bass department. However, driving some higher impedance headphones may expose the weakness of the Pha-3, the lack of dynamic and it senses. Even when using Z7 which was made for it, I felt it was slightly lacking as well. I can tell that it pair superbly well with Fostex TH900, and I would think other similar variants as well ? I can observe a total control of bass tonality, vivid visceral energy and highly textured lines with excellent tonality. Mid: forward and transparent, centered and vividly presenting. The separations of each instruments, tones and tonal balances are vivid, spacious. The micro energies and variations are very fluid and packing full of details, energies. However, Mid spectrum is very boring, lifeless when the unit is still new, all of the micro energies variations, and plays are like not there but only huge empty spaces. It actually improves a lot and vividly playing after 300 hours burning-in....and magically continue to improve upon micro dynamic energies and it variations up to 500 hours. I found strings plays carry less organic warmth feeling where the wind instruments has a much better expressions and organic with it inner wind and brass housing tonality. Do not mistake it though, the strings plays and tonality is still too good to criticize, it only trades a bit of warmth for clarity, separation and micro energies. Treble: sparkling, energetic tonality, airy, and is very detailed without being harsh/sibilant. This is where the trebles get tuned a bit differently than the Sabres ES9018 sound signature I had been expecting, the cold/chilling, sparkling, detailed trebles ? Instead the Pha-3 trebles is yet sparkles, dense, thick, airy, detailed, and not...cold ? Strangely eh ? I wouldn't think it was Sabres chip inside, and if you believe different DAC carry different sound like I do ! I love it here. I would call this trebles a sweet and detailed lady ! Pros: The best about it pros is the Fidelity of spaces which are so accurately at the same pace and distant constantly, and then within this space is the Depth that contains the definitions of each instruments energies and plays. 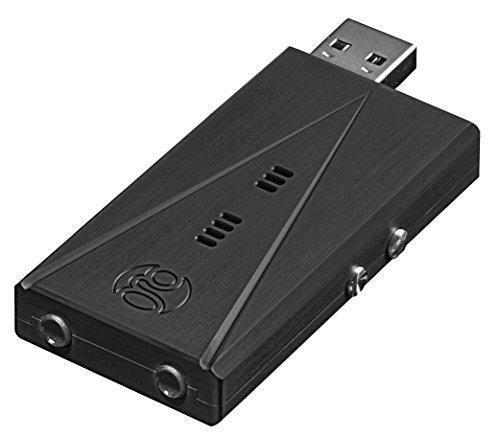 Connecting to other devices are a breeze and clearly indicated. Balanced connection, Vocal, expansive and spacious presences, excellent separations and layering, great energies expressions almost all around, warmer and musical bass/trebles. Very good mid, forward with good transparency and smooth vocals. Cons: some what weak in the power and stability. It results in weaker mid-upper bass to lower mid energies expressions, but only if you try to use higher impedance headphones, or are picky. Some tracks will show it worse than other ? Long time charging, too sensitive on movements because the PHA-3 will get disconnected from charging without indications. Gets warm on operation, especially if you cover it in any fabric, leathers...pocket....etc. What would I like for a better experiences ? 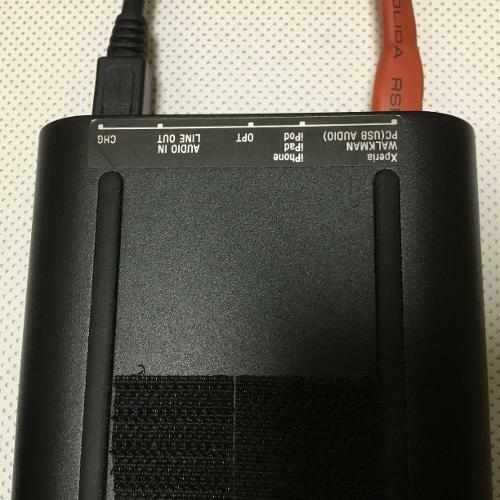 Would love to have much better power supplies.....even if it was more Bulky even at 2x this thickness, needs better battery, charging indicators. Less sensitivity toward moving in which may result in the sound being stopped. Also a larger battery with faster charging ? Pairing and utilizing: I used pha-3 with Zx2 as a transport, and I originally mistaken the cables inside the Pha-3 box to be a good cables for Zx2. I was wrong, this cables was horrible, even though it was short and is a better fit, but it doesn't have the built in components where the Sony real "dongles cables" has, the WMC-NWH10. I modified it for better optimization as in elminating the female type A USB and replaced it with micro USB for direct Pha-3 connection and upgraded cables. 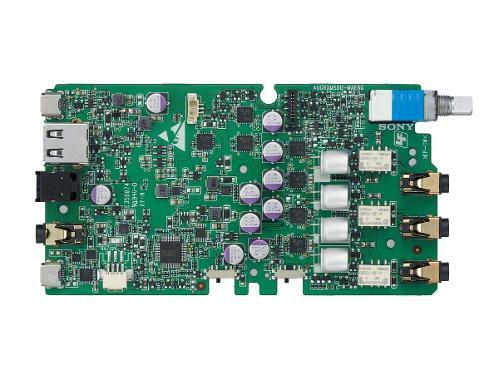 It is superbly paired with TH900 , then MDR- Sa5000 in balanced connections. You may ask how ? Any vendor can make them balanced for you via (modifications), or if you are handy with DIY, you can find many threads here on head-fi for it. 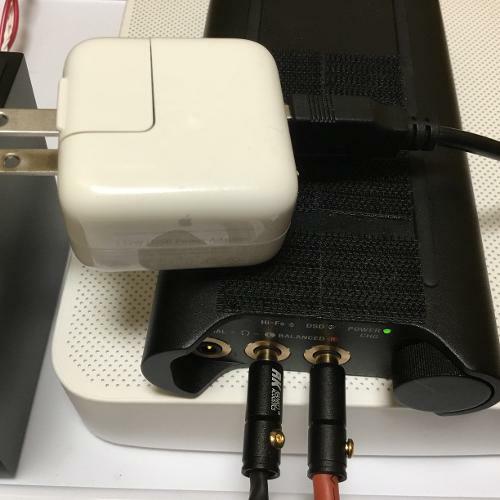 Pha-3 can be seamlessly connected to Apple devices, and PC. 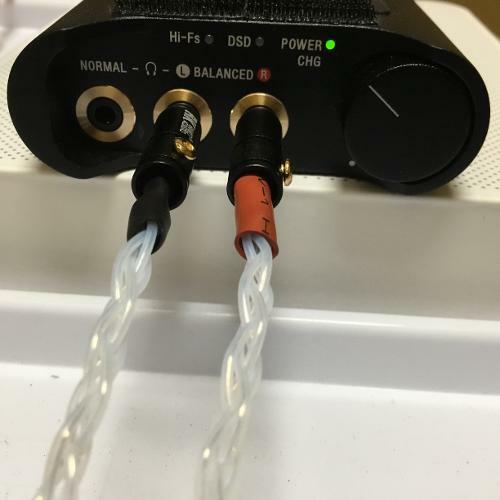 The analog line out is using the same port on the back with a switch to opt for headphones or line out, be noticed that the Balanced connection is not available when you are in Analog line-in. It means anything you amplify by Pha3 via Analog feeds will not output balanced connection by Pha-3, but only Single Ended. I love the Pha-3 and Zx2 when connected line out toward my large stereo system. It is so good and satisfying. 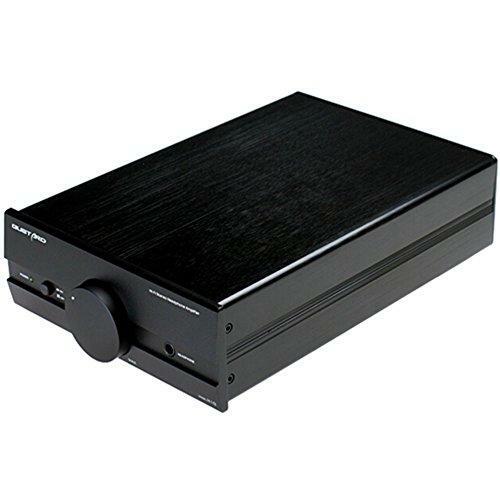 When using it like this, the dynamic, controls, tonality, and energy are so so good, and that I had talked to a well reputable friend who also confirmed that even though the amp section of the Pha-3 may be a bit weak, when having a good quality amplifier, the DAC section in the Pha-3 is "excellent". It explains the superb quality when using with my large stereo system. 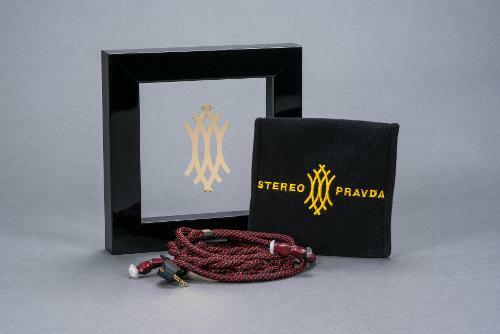 It also means that Pha-3 can be used as DAC/Pre-amp for hard to drive headphones. Sethivict, jacknorthern and sa100 like this. 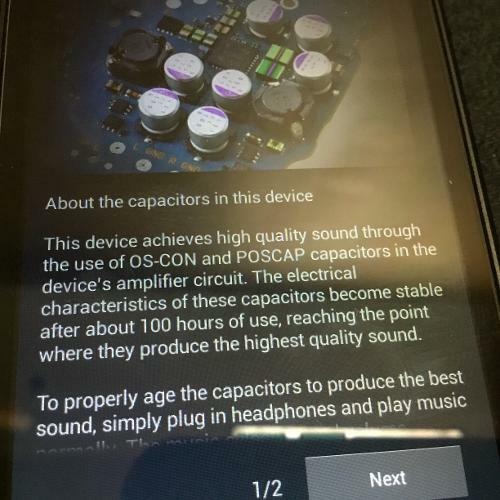 Yes, to the best of my knowledges, just plug your headphones in and play all your music, volume doesn't matter. Great review, thanks! I have the PHA-3 and in the process of burning it in. Can't wait for the improvements noted in your review. It is surprising that no one else has posted a review, maybe all are enjoying it too much to bother. I've been holding back from writing a review because it is important to live with a mobile product for at least a month before espousing its virtues. At least I think it is. 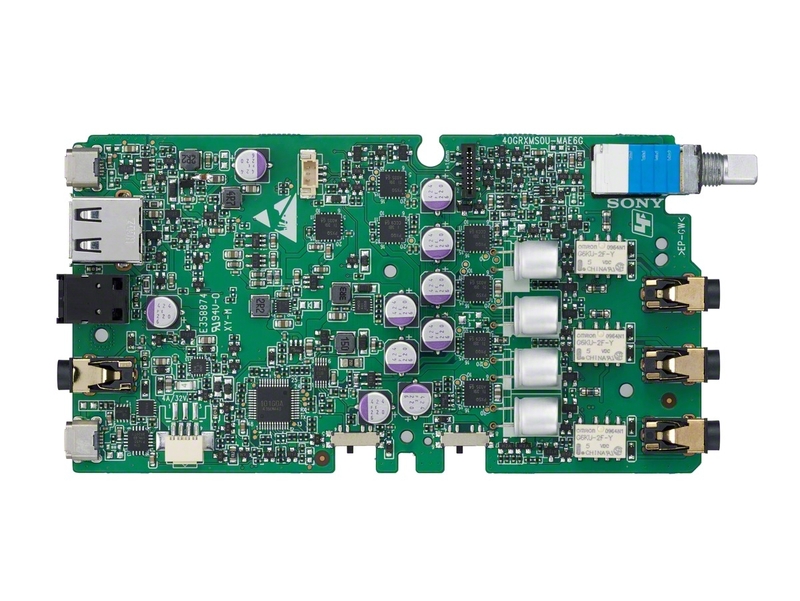 I'm sure there are many internal technical merits to this dac/amp that others can cover in more detail, but I don't care about the internal components as much as I do about it doing its job so I'm going to recount my month's experience with this dac/amp. Who am I? Just another audio fan. I aim for an audio reproduction that will match what the recording's producer perceived. Clearly not possible, but it is a goal none the less. This means that I will eq any system to get it close to perceptually flat. For my home stereo this meant considering room reverb and nulls more than digital eq, but for headphones there is little I can do in terms of room acoustics though I have dabbled in stuffing headphones to aid eq. IEMS however permit no mods except tips for a good seal, so parametric eq processing has become my friend and graphic eq otherwise. Where/when do I use this amp? I use it at my desk at work all day during the week for 4 to 8 hours (sometimes more). I use it when going to bed if I want to listen to music to help me relax and fall asleep (maybe an hour). I use it when the baby is asleep at home. Where I once used to use headphones on public transportation, I no longer use public transportation so I can't comment on the impact there. That said it fits fine in any of my paniers as I bike to/from work. 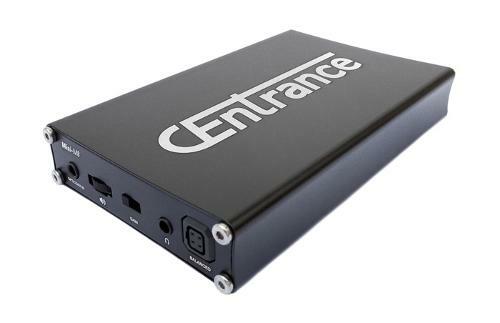 How do I use the dac/amp? At my desk I use Winamp and EqualizerAPO on Windows 7 with the PHA-3 set to 24bit/192kHz giving the eq lots of room to manipulate the source and have little affect on the final output in terms of dynamics. Everywhere else I mostly use the Onkyo audio player because of the greatly customizable eq. I would consider a player with a parametric eq, but I've only found Neutron to have it and that app has been a pain to try out so I haven't bothered any more with it. Physically I find the amp large, but it complements the size of my Note 3 phone that I use as a DAP. With extended play time the amp is warm to the touch. The aluminum casing was clearly a necessary heatsink part of the design. Recharging via various usb chargers(500ma to 2400ma) is fine except the Samsung charger that outputs 5.3v that the PHA-3 refuses to work with so I'm guessing Sony put some over-voltage protection into the design to keep the batteries from being over-charged and having a shorter life span. As noted in the manual charging time can be as short as 6 hours, but only with a high current charger. When I first got the PHA-3 I plugged in my Beyer DT880 600ohm at home because it was what I had nearby and used an un-eq'd feed from my pc. It drove them fine on high-gain, but the sound was exactly like the frequency-response of the headphone. This is great for the amp, not so great for the headphone as they have a big bump up around 8kHz that bothers me, so I headed for the eq. While keeping the fatiguing part of the frequency response in check I also decided to bump up the sub-bass. Now the DT880 has a low sensitivity and high impedance which combined with a -12db pre-amp level rendered the DT880 just barely loud enough to constitute my normal engaged listening level. Turning the volume dial on the PHA-3 past 3-o'clock made the phones bottom out. Distortion in the driver was clear from the sounds of the diaphragm hitting its excursion limit and breaking up. This happens with the same settings on my tube amp, but at a slightly higher listening level. Likely this is due to the tubes having a sub-bass roll-off that the PHA-3 does not have. I do not use the DT880 to get my sub-bass fix so not a big deal, but the experience had me wondering if I was missing other rolled-off sound elsewhere. Next on my trial list was the MDR-1R. I didn't have the T1, SZ2000, or Westone 4 on hand, and I wanted volume and couldn't hold myself back from using the PHA-3. 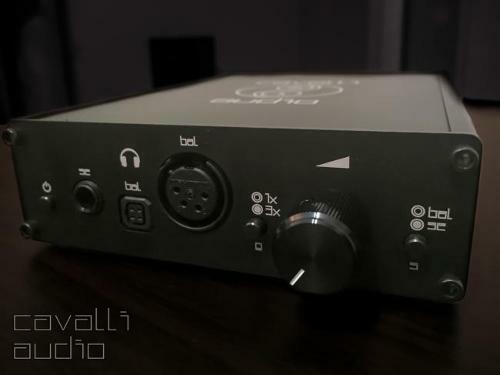 The 1R I had not used in some time as the closed design leaves something to be desired in terms of sound stage. The end result is that I have new found appreciation for these phones. The amp can control them so well that with a really small amount of eq I got the response that I was looking for and sub-bass. So much so that I thought they were in competition with the SZ2000. Later on when I did have the SZ2000 hooked up there was no contest, but the point is that the PHA-3 happily took the +10db at 16Hz Q0.25 and the 1R responded with audible reproduction of the frequency. With music the 1R sounded good albeit closed and less clear than I'm used to with the T1, but good none the less and with fewer/minimal higher frequency eq tweaks than any other headphone I have. By the time Monday rolled around I was really looking forward to continuing the experimentation. The T1 was first and I was noticing some better sub-bass control, but nothing stellar so I just kept listening. The next day I wanted more sub-bass out of the T1 for electro-tango, but I just couldn't get the PHA-3 to give me the same volume and bass control that I felt I could get with my vacuum tube amp + m-audio fast track i/o DAC/ADC. After more comparison I was staring to feel let down a bit in that they both had pros and cons. The PHA-3 had good sub-bass control, but not as good volume whereas the tube amp had the volume, but rolled off sub-bass. 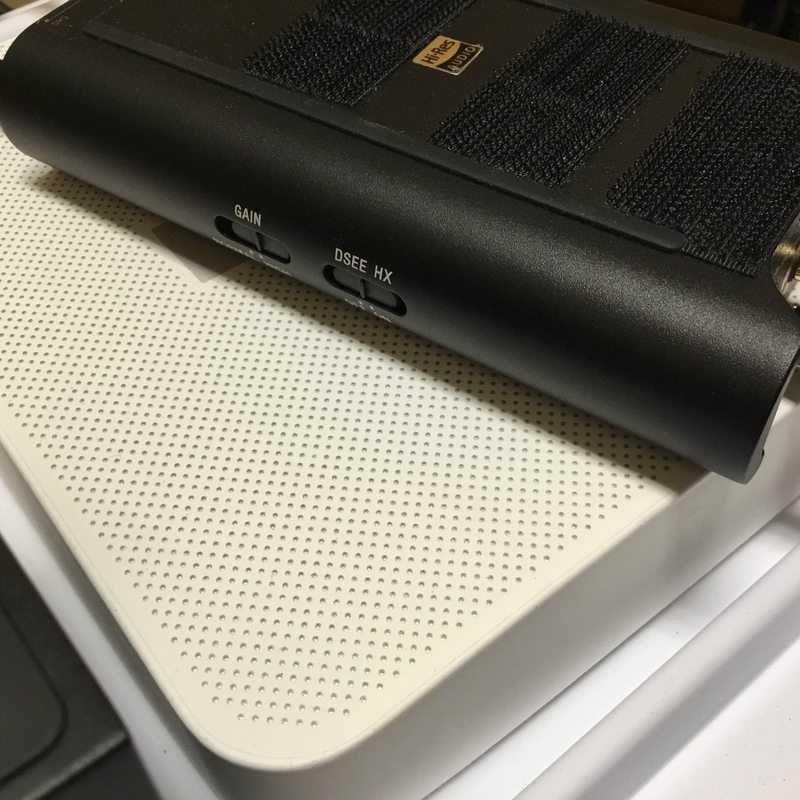 I was thinking that a high-power dedicated desktop amp was in my future and the PHA-3 would become my home/mobile dac/amp. Scouring the web for any/all impressions on the T1 and PHA-3 I found several comments on how the balanced output was really fantastic; So I decided to re-terminate the T1 with a 4-pin mini-XLR and make an adapter to make use of the balanced output. The results were fantastic. Volume was there in spades. High-gain was no longer needed. I was enjoying the T1 more than ever. Micro-details were clear and dynamics effortless. Weeks later, I miss the glow of the tube amp on my desk, but it was brought home because I had no more use for it at work. Much time was spent with the T1 tweaking the eq. It amazed me how well the DAC/amp could drive the T1 with whatever large eq changes I made and not loose information. I have finally settled on two parametric eq profiles for the T1. One for regular listening and one with extra sub-bass for demanding tracks that have acoustic instruments and electronic sub-bass such as electro-tango. 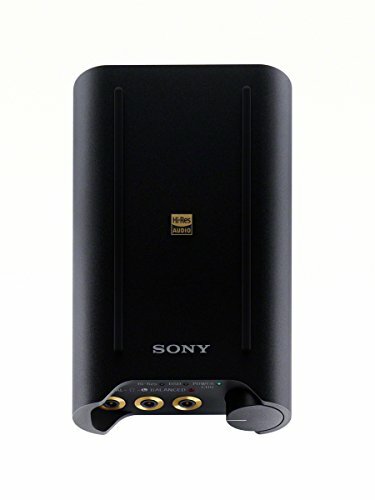 The fact that I can take the pre-level down 16db so that the sub-bass can stay at line level and then further drop some other levels another 6db and still hear the dynamics clearly speaks volumes to me about Sony's DAC and amp implementation. I love the resolution of the T1 and in 24bit processing, it does not feel as if I'm missing much with the PHA-3 and eq. I couldn't do that with the 24bit m-audio dac and get the same volume/control/detail out of the tube amp. The m-audio DAC's headphone out was just too weak to drive the T1 with such an eq. I've now been slowly converting my headphones to balanced cabling. The Westone 4 is efficient, sometime annoyingly so, but I wanted to see if the conversion helped at all and it did. I just got them back from being re-cabled and was even more worried that maybe I could now hear more about what was going on in the building's power fluctuations than ever, hiss abound. With the PHA-3 that didn't happen. Silence in lo-gain and silence in high-gain. On high-gain If I have no music playing(would be deafening otherwise) I can start to hear the noise floor with the volume set to a little past 1-o'clock. Everything sounds tighter and better controlled. I haven't yet converted the SZ2000 to balanced as I use it for more sub-bass heavy music occasionally, but it is on my list. It is too bad that the 1R has a single ended plug in the headphone as I was hoping to convert them to balanced, but I'm not about to go get the MDR-1A. The hardest review for me to write is one that finds little or nothing wrong with a product. I find nothing wrong with the PHA-3, it just works as advertised, no weakness, no roll-off, no emphasis, it just does its job quietly and admirably. It feels as if the character of the rest of the audio chain is very clearly on display. With digital in, the chain isn't very long, so headphone differences come to the fore. If anything it has peaked my interest in balanced headphones. Looking forward to a decade or more of use. arftech, jaredjcrandall8, Maniac and 4 others like this. Great stuff, If you have a Sony Xperia Z series phone, you will suddenly understand why top and bottom bezel is so big... It is for that silicon band to grab onto the phone without cutting into the display area. Using it with my XBA-Z5 in balanced mode. The list price $999 is a big high, but you should be able to find cheaper online. Why do you think it is so expensive? Consumer audio products always have very fat profit margins for resellers, that's why there's a lot of places selling them new for around $700... If you managed to pick it up from someone who already got it at a good price, the end result is quite shockingly affordable.